Wine tasting along the SE Michigan Pioneer Wine Trail, April 9 – 10, 2011. Today’s pioneers don’t need to travel by wagon across thousands of miles of dangerous terrain. Today’s pioneers are boldly creating wine in Southeast Michigan. Meet these brave people this weekend, April 9 – 10, 2011, during the Southeast Michigan Wine Celebration. 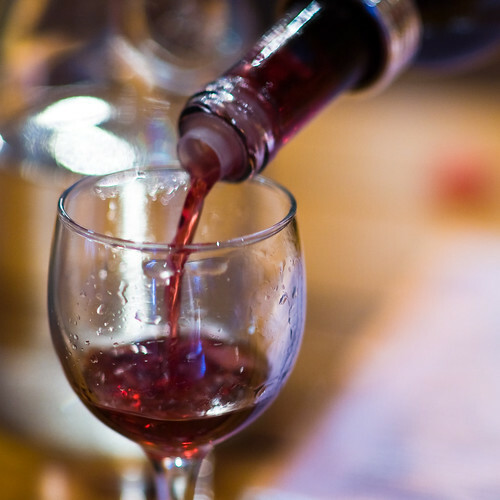 Our Lansing Bed and Breakfast is located in the heart of Southeast Michigan, close to several of the wineries on the SE Michigan Pioneer Wine Trail. Spend a night or two at the English Inn as you traverse the countryside in search of local vineyards and wine. At each participating winery, wines will be paired with appetizers or desserts prepared by local chefs. The food should pair excellently with the poured wines and help cleanse your palate between bottles. It will be a gustatory delight for oenophiles and foodies. Allow your days to culminate with a meal at our fine dining Lansing MI restaurant at the English Inn and Pub, then retire to your luxurious room. Advance tickets for the SE Michigan Wine Celebration must be purchased by April 7, 2011. For more information contact (517) 764-0679 or visit Southeast Michigan Pioneer Wine Trail.